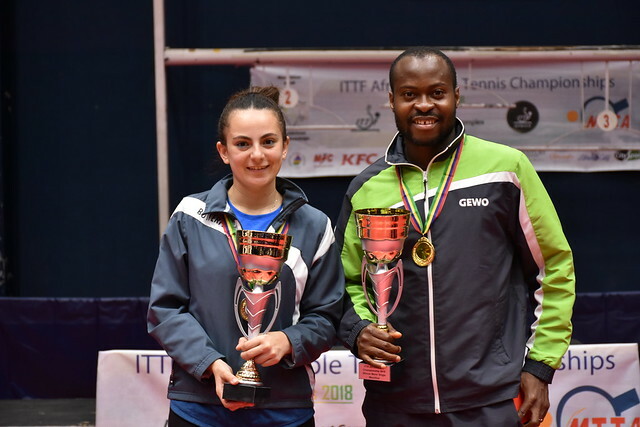 A bronze medal in both the Women’s Team and Women’s Doubles events, fifth place in the Men’s Team competition, for South Africa the current 2018 ITTF-African Championships, which conclude in Port Louis, Mauritius on Sunday 9th September, it has been a successful venture for South Africa. One player from the Rainbow nation who has attracted the attention has been Theo Cogill, a Class 10 Para athlete. He is of no doubt that South Africa is closing the gap on the continents powerhouse nations. Most significantly, in the Men’s Doubles event on Friday 7th September, the point was endorsed. Theo Cogill and Shane Overmeyer beat Algeria’s Larbi Bouriah and Sami Kherouf, the no.4 seeds (11-7, 4-11, 11-7, 11-6), before experiencing a quarter-final defeat at the hands of the Ivory Coast’s Kanate Ali and Oba Kizito (11-7, 10-12, 13-11, 8-11, 12-10, 11-7). Theo Cogill is expected to fly South Africa’s flag at 2018 World Para Championships to be staged next month in Slovenia. He will be attending on a two week training tour at the National Table Tennis Training Centre in Doha, Qatar later this month.